If you thought having an all-white puzzle was difficult to put together, think again. 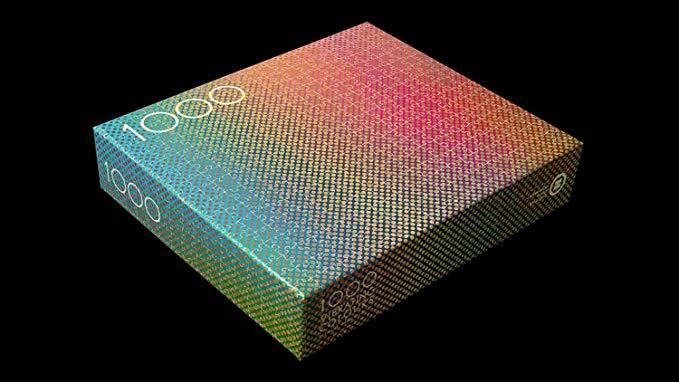 This vibrating color puzzle has gradient color pieces that constantly seem to change color due to an optical illusion. This one is only for the true puzzle lover as you will go crazy with half an hour of trying to put these 1000 pieces together. Created by Clemens Habicht the op-art like result is a kinetic visual effect in which the dots vibrate and float as our perception of colour is disoriented. Each of the 1000 colors puzzle pieces is uniquely different and blends into a beautiful color spectrum that appears to vibrate! Quality pieces with less puzzle dust makes for a quick start to a fun and super challenging gradient puzzle.